Take exit #26, Rt 62 towards Berlin, follow to Berlin center and take left on Linden St, and immediate Left on to South Street. Memorial School is .2 miles on your left. 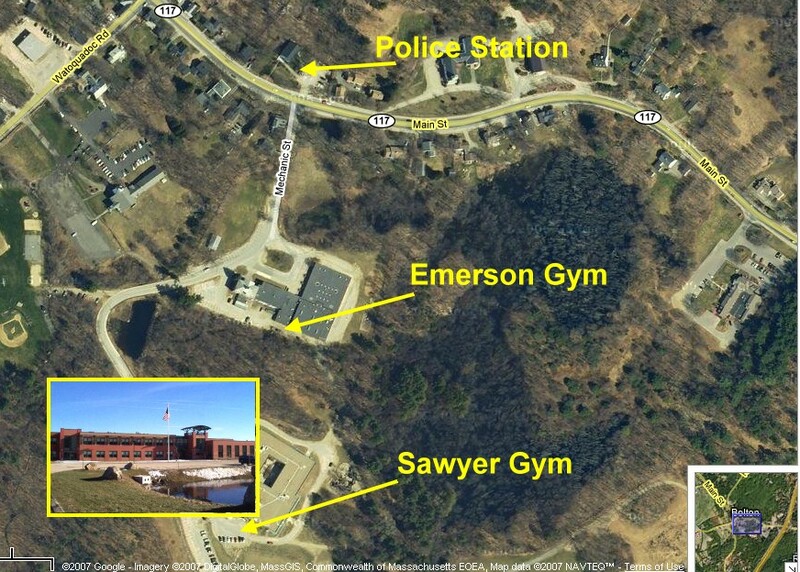 Take exit #25A, on to Solomon Pond Road towards Hudson. Road changes name to River Road. At Rotary take second right on to South Street. Memorial School is 1.9 miles on your right. Rte 117 to Mechanic Street, across the street from the Bolton Police station. Go to the first school, the Emerson school. The gym entrance is behind the school. · Continue 1.7 miles to Harvard Center on 110/111S. · At the flashing red light (General Store is on the right), continue through the light on Route 111. 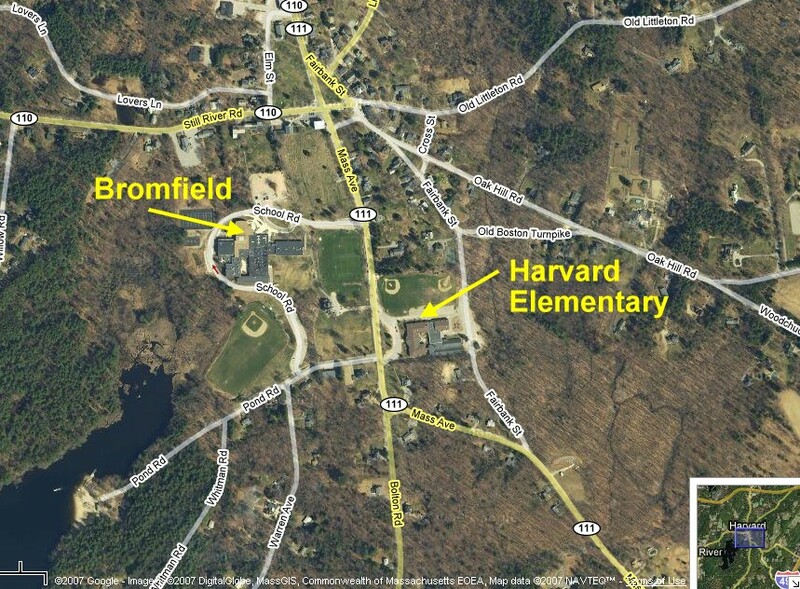 · Go past the Bromfield school entrance on your right. 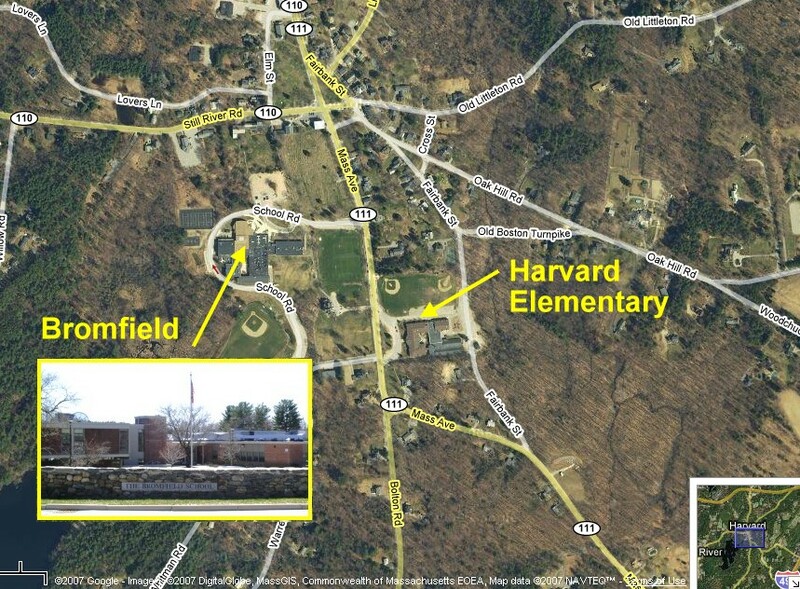 · The large, brick Elementary School is on the left just beyond the entrance to the Bromfield School. · Take Exit 28 off Interstate 495. · Continue 2.5 miles following Route 111N that is somewhat winding. · At the sharp bend on the right is the Bromfield House. 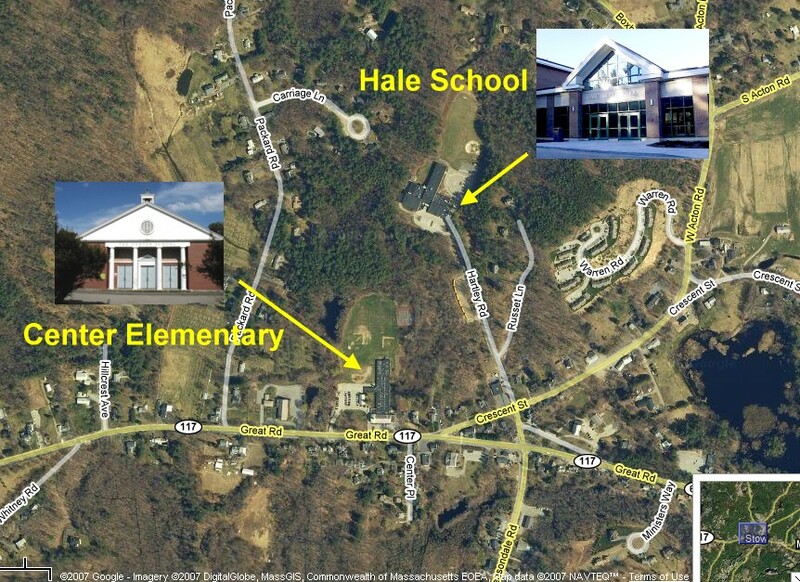 · The Elementary School is just beyond the Bromfield House on the right. 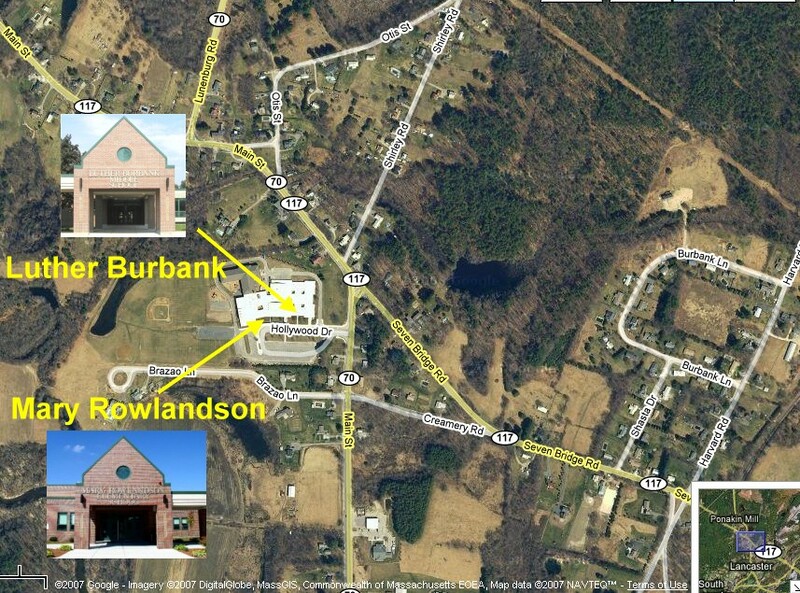 * From Route 2: Take the Lancaster/Clinton Exit onto Route 70 South until you get to Route 117. Take a left and your first right at the blinking yellow light onto Route 70 to arrive at the school. * From Route 495: Take Exit 27 onto Route 117 West. Proceed through Bolton and past the intersection of Route 110. After crossing the railroad tracks, take a left at the blinking yellow light onto Route 70 to arrive at the school. * From Route 190: Take Exit 7 onto Route 117 East. Proceed straight ahead and take a right at the blinking yellow light onto Route 70 to arrive at the school. Rte 117 West through Bolton center. 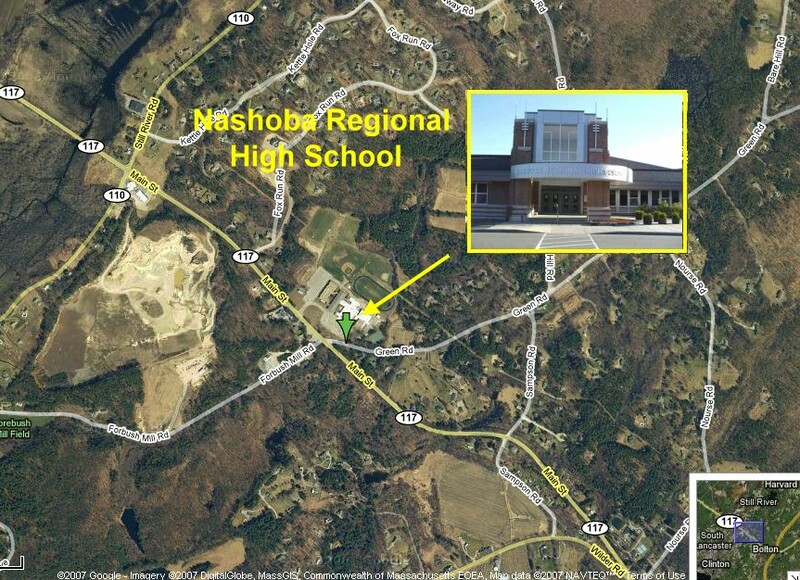 NRHS is on right hand side of road across the street from Classic Pizza, before you reach Bolton Orchards and the Rte 110 intersection. Take 117 East. After the Rte 110 intersection at Bolton Orchards it will be less than a mile ahead on your left, across the street from Classic Pizza. Follow Rte 117 east into Stow, past the intersection of Rte 62. Immediately after the Shaws plaza on the left take a left on Pompositicut Street. Pompositicut street turns into Summer Street. 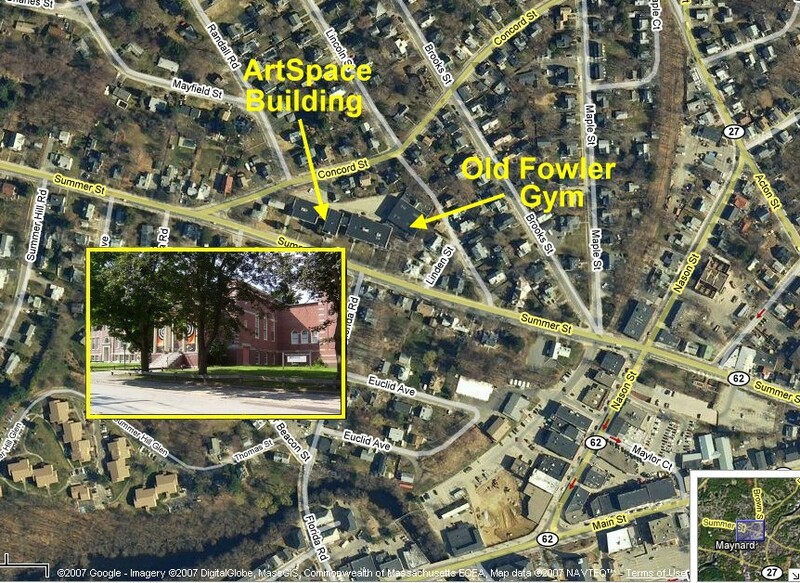 Old Fowler Gym is on Summer Street on the left in the ArtSpace building. 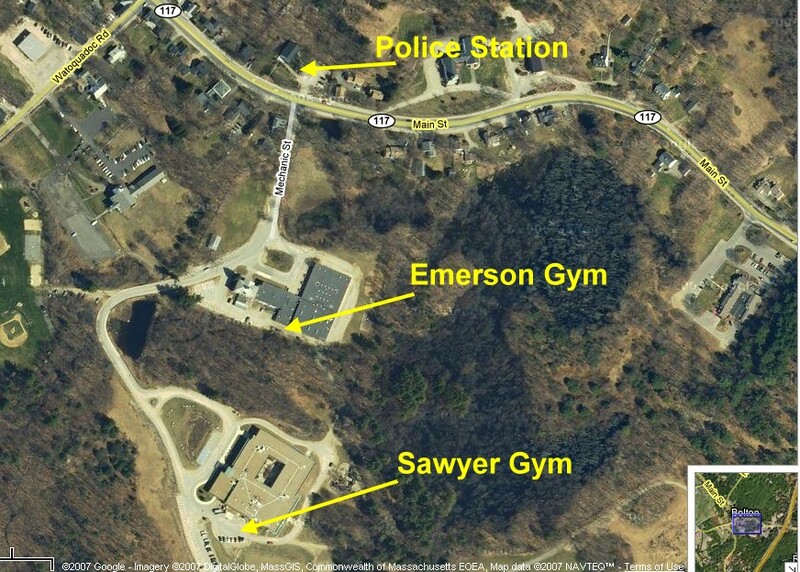 The gym is on the far right. Adhere to parking regulations on the street as they will ticket you! Rte 117 to Mechanic Street, across the street from the Bolton Police station. Go past the emerson school. around the back to the Florence Sawyer School. The gym entrance is on the right rear. Stow is located in the heart of Apple-picking country, about 30 miles west-northwest of Boston, and about 6 miles inside Route 495. Primary access is via Rte 117 (Great Road), which runs East-West through Stow. 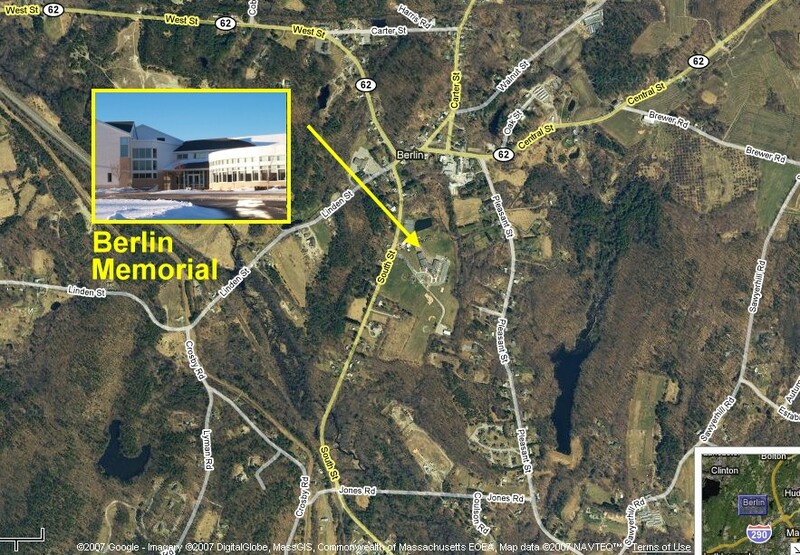 From the West, you can access Rte 117 from Rte 495 (in Bolton) or, from the East, off Rte 128 at the Rte 20E-exit in Waltham. The Stow Center School is just west of the intersection of Rte 117 and Rte 62-South. Head west on 117 at this intersection the Center School is on the right about .5 miles up the road.